At its core, Crazy Rich Asians is a story about one of the most nerve-wracking steps in a relationship: meeting your partner’s family. You want to make a good first impression, yet worry that they might not like you for some particular or outlandish reason. 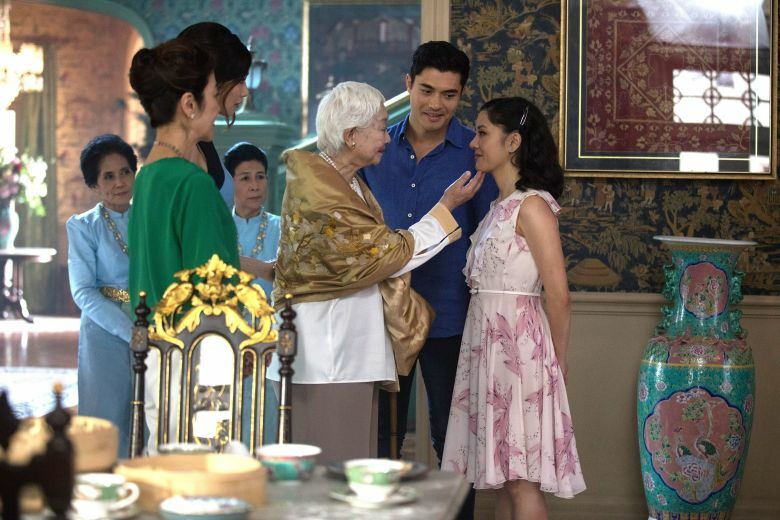 Crazy Rich Asians takes this a step further by incorporating themes of dynasty tradition and cultural differences into the narrative. The result is a colorfully engaging fish out of water story that balances luxurious fashion and iconography against the complexities of family. For Rachel Chu (Constance Wu), life seems to be pretty good. She’s an economics professor at NYU, loves her boyfriend Nick (Henry Golding) and feels comfortable being herself. One day, Nick asks Rachel to accompany him to Singapore for his childhood friend Colin’s wedding. It’ll be a chance for Rachel to finally meet his family after a year of dating, a topic that Nick rarely seems willing to address. As we soon learn, there’s an understandable reason for this. Nick Young’s family isn’t just “comfortable” in their wealth- they’re the top 1% of the 1%. An ‘old money’ family that deals in everything from real estate to movies to fashion, the Youngs essentially own Singapore – think a combination of the British Royal Family and Kardashians. How Rachel never discovered this revelation on the Internet, I’ll never understand. Upon meeting the people who live this lavish lifestyle, Rachel is viewed as an outsider not just in regards to economics and familial ties, but cultural differences as well. 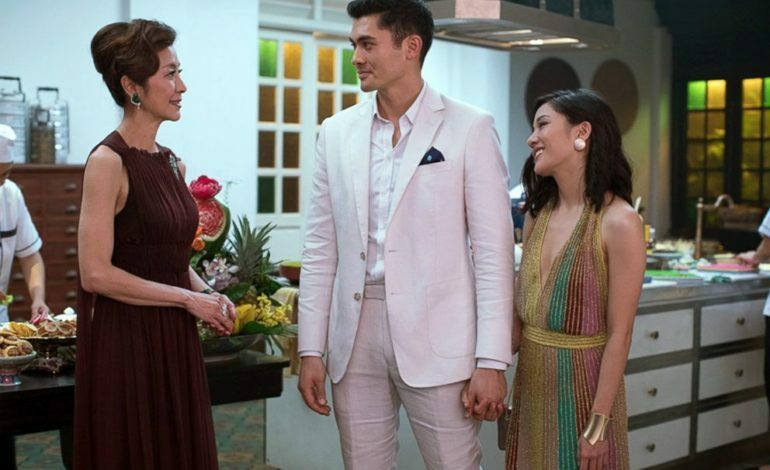 This especially puts her at odds with Nick’s mother Eleanor (Michelle Yeoh) who worries that this relationship has distanced her son from his roots. As mentioned before, this is not an inherently new premise for the romantic comedy genre. Yet by moving the setting from America to Singapore, what was formally cliché feels fresh because we see things from a different perspective. Rather than paint Nick’s family as simply cold and hostile, director John M. Chu successfully paints their concerns as an extension of the desire to uphold traditions. Despite her Chinese heritage, Rachel’s immigrant upbringing is perceived as incompatible with the Young’s legacy, which constantly stresses family over American self-interest. This provides insight behind Eleanor’s steely demeanor, with Yeoh’s performance helping to flesh out the matriarch beyond a simple overbearing parent. Furthermore, while Crazy Rich Asians constantly juxtaposes Rachel’s actions against the Young’s expectations, it never diminishes her worth. Where most rom-com women are expected to change themselves to accommodate for a man’s flaws, Wu plays Rachel as independent from start to finish. She’s rarely ashamed of her heritage, maintains good relationships with her mother and college friend Peik Lin, played hilariously by Awkwafina, and constantly fights back against the gazes of this aristocratic culture. More importantly, she genuinely loves Nick and learning about his wealth and “Asian Bachelor” status does nothing to diminish this. Even though Crazy Rich Asians never reinvents the wheel, the fact that it offers a lead character whose persona isn’t drastically reshaped by the narrative is itself refreshing. Visually, Crazy Rich Asians feels distinct in both aesthetics and casting. Similar to Black Panther, part of the film’s hype lay in its use of a predominantly Asian and Asian-American cast, something that Hollywood has barely attempted since 1993’s The Joy Luck Club. Names like Gemma Chan, Chris Pang, Nico Santos and Jing Lusi round out this ensemble cast and each bring plenty of personality to their respective characters. Some of them even bond with Rachel and assist her in challenging Eleanor’s expectations of who her son should marry. Even Chinese cinema legend Lisa Lu, who starred in Joy Luck Club twenty-five years prior, makes an appearance as Nick’s grandmother and a central player in the Young matriarchy. The result are characters that manage to evade the western stereotypes that Hollywood obliviously relies upon. Likewise, Crazy Rich Asians’ world feels both colorful and flavorful, even if there’s still a debate on how accurately it depicts the “real” Singapore. From entering a luxurious mansion to eating at a marketplace, Chu’s cinematography reinforces the notion that these locations are not America. Stylized and spectacle-driven as this culture might appear, the film uses this style to show how something as simple as fashion or making food is different to the Young family than the viewer. This contrast between American and Asian wealth, both consumerist and familial, culminates in a rather clever use of Mahjong to make the film’s thematic point. Through a combination of its cast, visual style and culturally unique themes, Crazy Rich Asians shines as one of 2018’s most entertaining films. As both an example of Asian representation and female strength in cinema, it proves that Hollywood’s excuses just aren’t going to cut it anymore. And, as a straightforward movie, it’s simply a lot of fun to watch. Just keep in mind that you will probably be craving dumplings afterward.